Take this as a warning: if you are not able or willing to control yourself, it will not only be you who suffers the consequences but those around you, as well. In the wake of a scandal, the Montrose family and their three daughters—Catherine, Lydia, and Emeline—flee Boston for their new country home, Willow Hall. The estate seems sleepy and idyllic. But a subtle menace creeps into the atmosphere, remnants of a dark history that call to Lydia, and to the youngest, Emeline. About the author: Hester comes to writing from a background in museum work and historical archaeology. She loves the Gothic, the lurid, the dark…so long as the ending is a happy one. She has never seen a ghost, though she remains hopeful. Hester lives outside of Boston with her husband. 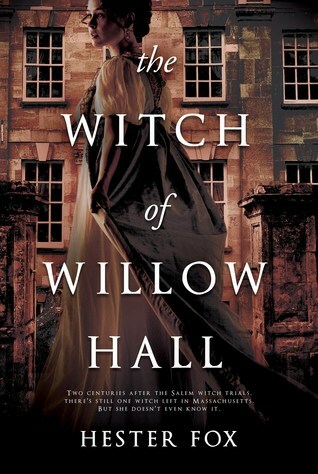 THE WITCH OF WILLOW HALL is her first novel.